Welcome back to week 2 of museum weekly. First of all: thanks to all the positive feedback I got from reddit. It’s nice to know that people appreciate the work I’m putting into this. I also got some nice suggestions from some users so I made the frames a bit more realistic and the font a bit more legible. Also there finally is a newsletter. Someone suggested tinyletter and so I made a signup form for you to use. All the upcoming issues of Museum Weekly will be sent right to your inbox and also be posted to this blog. So don’t hesitate and sign up now! So, here is your next background. 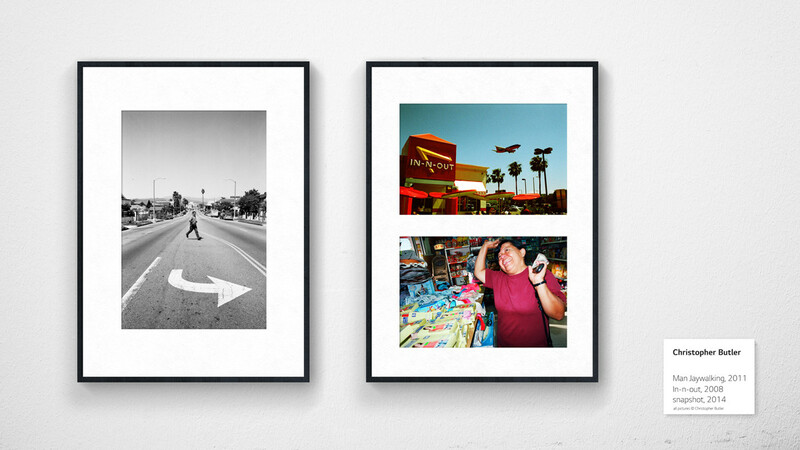 This week you’ll be looking at 3 photographs by Christopher Butler, who is a photographer based in Los Angeles. His honest and lively photographs feature many of his friends and snapshots wich seem to be directly taken out of his life. I also encourage you to follow his tumblr and visit his website wich is named brilliantly. Well, worry no more for I and my genius mind are gonna save your throat AND your toilet. Let me introduce you to „museum weekly“. It’s an attempt at presenting your tired eyes with an subjectively amazing photographer of my choice. Here’s how it works. Every week or so, I’m going to make one of these museum-wall-like desktop wallpapers for you to download and marvel at. I’m also going to provide you with a tiny bit of information about the artist and the picture. Just enough to make you curious about what you’re looking at. That way you and I are getting the chance of learning about new or established photographers in a museum-like environment AT YOUR HOME. Hell, I could even call it that. But I won’t. What I will do though is let you suggest new artists to me and maybe your photographer could be next weeks master in our tiny exhibition. So here is week 1’s subject. 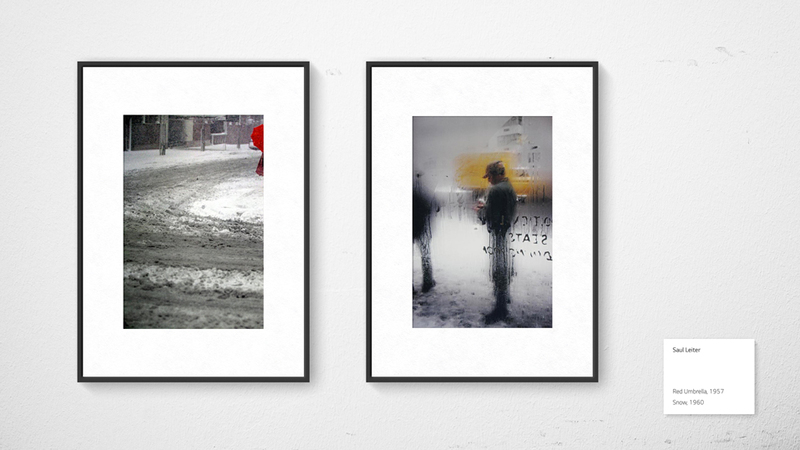 These two pictures were taken by the well known american photographer and painter Saul Leiter. He was born in 1923 and died in 2013. He was one of the first photographers to make color frames, starting in 1946. This was revolutionary at the time, since photography was only taken seriously when taken in black and white. Color was so mundane that the artsy world despised it. Download the wallpaper by clicking this link.